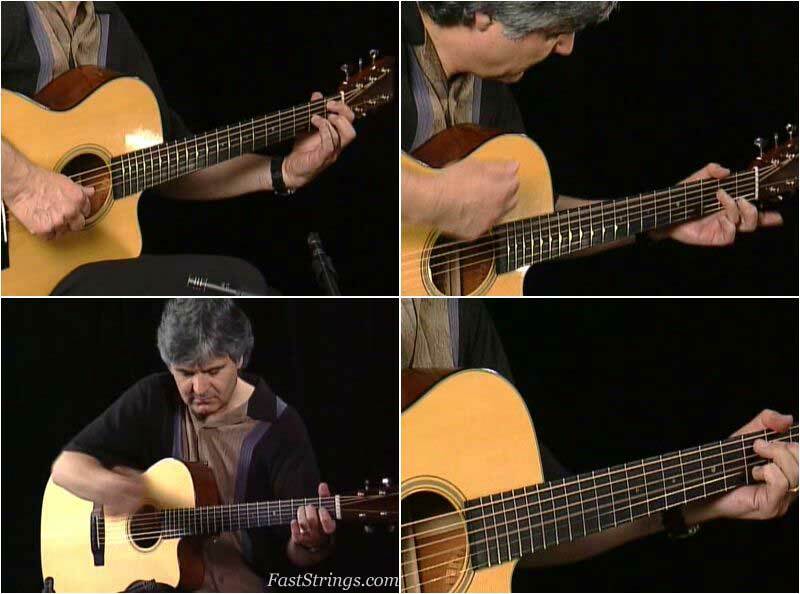 Laurence Juber, the former lead guitarist for Paul McCartney and Wings, is the premier solo acoustic guitarist of our generation. His arrangements are beautiful, fluid, and stunning, yet never does he sacrifice musicality for technical virtuosity. On this DVD, Laurence performs and explains six of his most popular solo guitar pieces in DADGAD and standart tuning. In the special lesson sections, Laurence walks you through the key aspects and techniques required for each arrangement, and you can select from multiple camera angles: watch the full performance or see a close-up right or left hand. In addition, several bonus song performances are included.